On Monday, I planted my peas, along with a row of spinach and lettuce. Tuesday, it snowed. It must be March! Still, there's hope. That up there is what Tessa Gifford and Drake Cook of Pure Joy Farm in Truro call lasagna gardening. They say ideally you start it in the fall, but that if you're itching to get out there and you haven't done any soil preparation, it's not too late to start now. The basic idea is a ratio: one part cardboard to two parts manure to one part marsh hay or leaves or straw to one part seaweed. The term was coined by a lady named Patricia Lanza in 1998. She wrote a whole book about it, called Lasagna Gardening, and Drake's mom passed it along at some point. Drake and Tessa thought it was pretty smart: let the cardboard block the weeds as it decomposes and adds carbon to the soil, let the manure give you nitrogen, add another layer of some sort of carbon-heavy substance, and top it all with seaweed, which is an excellent mulch. When planting time comes, all you have to do is spread apart the seaweed, sow your seeds, and move the seaweed back into place. You have good topsoil and good mulch, all ready to go! 1. Start planting! Cold hardy things like peas, kale, collard greens, chard, parsnips, carrots, beets, and potatoes are ready to go in the ground. Lettuce, arugula, and more tender greens can be planted under row covers or inside a hoophouse, coldframe, or greenhouse. And inside, you can start those 80-plus day seeds: tomatoes, eggplants, peppers, melons, squash...you know the drill. Surprisingly, maintaining an orchard is a year-round project! Here are a few things to do each month to help make your orchard (whether that is two trees or twenty trees) produce delicious fruit! At Pure Joy Farm in Truro, we have a small orchard—only nine trees! We use a more expanded version of this calendar to help us fight pests, feed the soil, and produce fruit in an organic and more holistic way. Keep track of what you do, problems you have and production in a notebook! Stake trees that have been growing crooked. Prune dead wood on Pome fruits. Research trees you may want to add and take inventory of supplies you have or will need. Second small prune of Pome fruits. Focus on removing crisscrossing and vertical branches, but don’t go over board! Both these type of growth will impede equal light filtration to your fruits once the leaves come in! Don’t forget that ground fruits like currants, gooseberries and blueberries also need yearly pruning! Apply a dormancy spray before the leaves begin growing. Unwrap any cold intolerant fruits. To add some helpful biology to your trees, you can make your own microbial spray which you can apply to your orchard floor. The Holistic Orchard by Michael Phillips has great recipes for homemade teas and sprays you can use year round in your orchard. 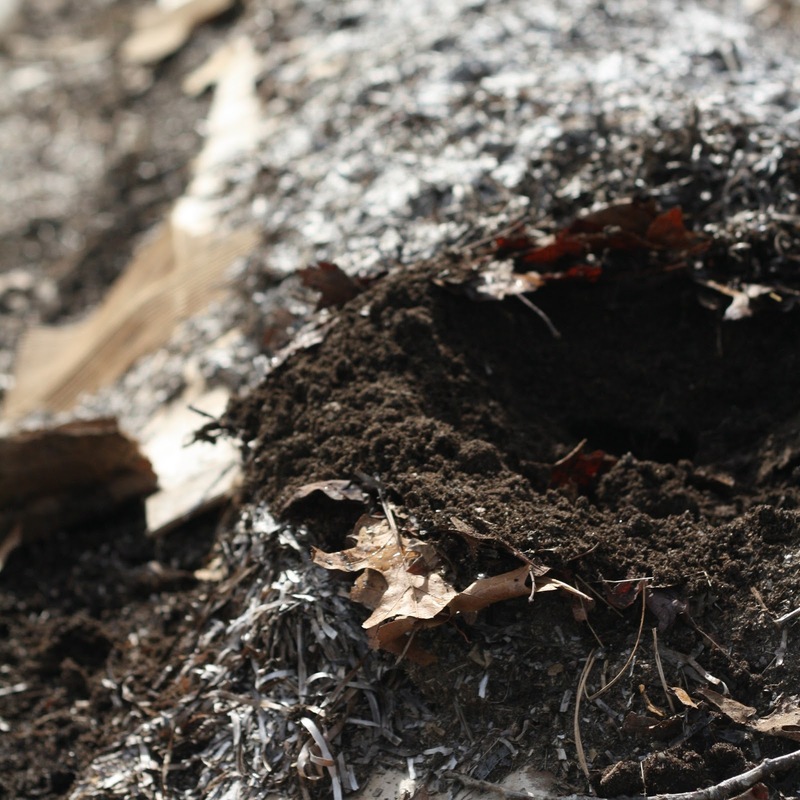 Mulch around the base of trees to add more nutrients to soil and help maintain soil moisture. Look into “Haphazard Mulching”! It is great!! Start checking for pests, you can hang pheromone pest traps and vinegar jug traps in your orchard and apply neem oil sprays, refined kaolin clay, whey sprays and dormancy sprays. Apply homemade herbal teas to your orchard using horsetail and comfrey. Again, Michael Phillips has a lot of resources available online for orchard teas. Watch out for disease or pests! They will show through in your bark and leaves. The earlier you catch a problem, the more likely you will be able to save your harvest. Remove any deformed leaves as they appear, squish eggs, and pick off pests if you have to. We rely heavily on neem oil as a fighter of pests, applying a spray every two weeks until the fall. Thin your fruit trees, if there are too many fruits growing at once, the tree is putting a lot of energy into too much. You want to make sure the tree isn’t working too hard because the fruit produced will not be as good. Really! June and July are about keeping up with whatever pest management practices you have set up and keeping the soil rich in nutrients using liquid kelp, fish emulsion and monitoring the break-down of the mulch applied in March. In case of drought—prune trees back. Removing ½ to 1/3 of the tree will decrease the tree’s need for water. If you only prune a little, this will actually encourage new growth and not help your tree. You can add companion plants to your orchard—chives, lemon balm, strawberries, comfrey are all great and can also help with pest management as well as attracting bees! Continue the regiment of holistic sprays. Fall application of liquid fish to the orchard floor. Brew a fall microbial spray. It is time to prepare for next year!! Mulch your orchard using Haphazard Mulching. This will allow everything to decompose and mix together through the winter, helping the soil around the base of your tree to be dense in nutrients! Think about your over-wintering protection plan—do you have trees which are intolerant to the cold? We cover our fig tree up in the winter with a lightweight row cover cloth. You may want to wrap some plants in a reflective bubble insulation cover once it gets very cold. If you have been having trouble with winter sunburn (splitting bark, mostly on the south or west sides due to sudden rises and falls in temperature) in the past, you can wrap the trunks in a trunk wrap or even paint them with a diluted latex interior paint. Apply a bit of compost, fish spray and lime to the soil. Remove “suckers” (little sproutlings at the roots of your trees). Rake and burn fallen leaves for pest and disease control. Pull back mulch from the base of trees. Let them breeeeeeeathe. Review your notes taken over the year and make a list of things you want to for your next year!! I've been lasagna gardening since 2007. It is so much easier to build a bed and you don't need mechanized equipment. I'm glad you are encouraging people to plant now. This was our first winter with a high tunnel. I mad mistakes but I've been able to pick spinach and beet greens all winter. I'm still amazed that it can be zero at night and the inside can get that cold but the ground doesn't freeze and the plants survive. I can't figure out why New Englanders took so long to use season extending techniques. We need fresh local food. The garden season needn't end with the first frost. Truly great learning for me, I really liked it, Thanks for share.. I have outlined a garden on Autocad. Your article gave me a few ideas for my garden. Nice article about the idea of the travel themed garden. Thank you. Lasagna planting has nothing to do with what you will be developing in the patio nursery. It alludes to the technique for building the greenery enclosure, which is, basically, including layers of natural materials that will "cook down" after some time, bringing about rich, soft soil that will offer your plants some assistance with thriving. Otherwise called "sheet treating the soil", lasagna planting is extraordinary for the earth, since you're utilizing your yard and kitchen waste and basically fertilizing the soil it set up to make another greenhouse. Upon reading the title, you would probably start thinking about a garden that grows ready-made lasagna or a garden that grows lasagna ingredients. Well, you're absolutely wrong with every assumption. Lasagna gardening is a horticultural method.